Ivory Coast, the world’s top producer of cocoa, is struggling with low quality of the crop due to poor weather. Cash-strapped farmers are finding it difficult to prepare for the next harvest season. According to cocoa producers in Daloa, San Pedro, Bouafle and Abengourou, some of the top cocoa-growing regions in the West African country, output has fallen drastically due to a stronger-than-usual dry season. This has affected their earnings. “On a three-hectare plantation, we would already have six 70 kg sacks of good-quality cocoa beans. This year, we don’t even have half of that,” Attoungbre Kouame, farmer and cooperative manager in Daloa, told Reuters. Daloa produces around a quarter of the country’s national output. 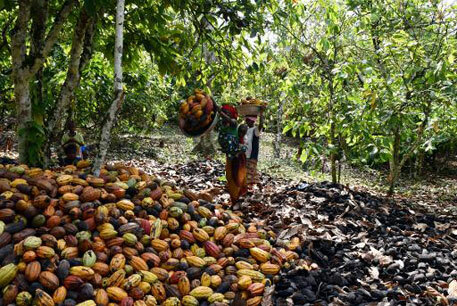 According to the Reuters report, cocoa growers start preparing plantations for the October-March season around June-July. The process is costly—labourers need to be recruited, pesticides and anti-fungal treatments applied to the crops and fertilisers purchased to boost yield. But as farmers approach this period, they are short of money. “If there is no money to prepare the plantations now, we will have to worry about disease at the start of the main crop and big losses,” said Labbe Zoungrana, another farmer near San Pedro. This coastal region was among the hardest hit by this year’s dry conditions, reports Reuters. Ivory Coast's eastern cocoa-growing regions are generally known for the high quality of their beans, but this year the region has produced smaller beans and that too in low volume.